Michael Jordan spent another full day in court without taking the stand in the case against Dominick’s, but key testimony did come out about how much the basketball legend is worth. Jordan’s attorneys had promised the NBA superstar would testify Monday, but cross-examination took far too long. Instead the courtroom head from a sports marketing expert and also the head of the athlete’s business and legal advice team. But in the end for the jury, the most important witness may be Jordan himself. Last year alone, attorneys say Jordan earned $100 million from the use of his likeness: more than he earned from 1994 to 1998 combined. Jordan's likeness and his reputation, his attorneys say, have a great value. 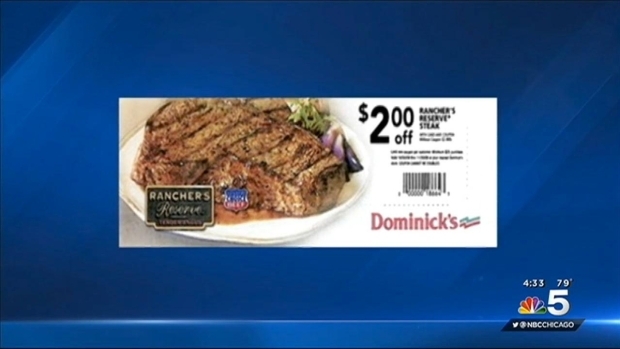 That is why they are fighting so hard against Safeway and its now defunct grocery chain Dominick's, challenging an ad that they say used Jordan's name and image without his permission. The first witness on the stand Monday was Smith College economics professor Andrew Zimbalist, an expert in sports marketing and valuation. He testified about the value of Jordan’s name when it comes to deals with companies seeking his endorsement, calling the Dominick's advertisement an attempt to slice off a part of Michael Jordan's identity that earns him millions of dollars a year. Jordan's advisers say he won't sign an endorsement deal unless it guarantees him at least $10 million in income, the same amount they say it should be due to the athlete for the unapproved Dominick's ad. Attorneys for Safeway say the Jordan ad was a one-use only item, and was really only worth about $5,000 in damage to his reputation. While jurors watched Monday’s testimony, they were also offered at the rare opportunity to submit questions to Zimbalist, asking him to explain some of the more technical aspects of the athlete's stance. 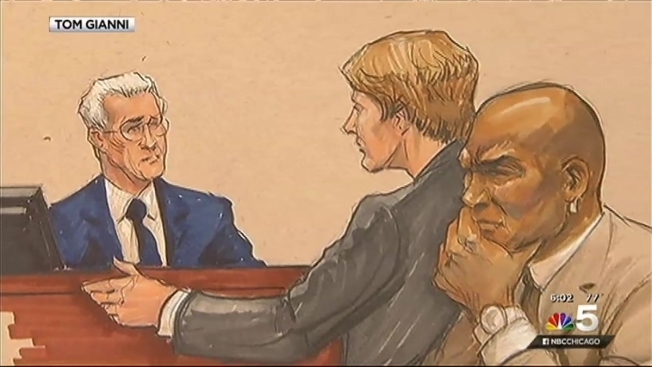 During opening statements Wednesday, with Jordan looking on, his attorney began by listing Jordan's many accomplishments, including six NBA championships with the Chicago Bulls. NBC 5's Michelle Relerford reports. But what many in the courtroom are still waiting for is the testimony of Michael Jordan himself. He is expected to explain to the jury why he is so careful to guard his reputation, the one that contributes to tens of millions of dollars to his bank account every year. The former Bulls great is slated to be the first witness on the stand Tuesday morning, with court starting at 10:30 a.m. at Chicago’s Dirkson Federal Building.